Looking for a way to dress up your ponytail? 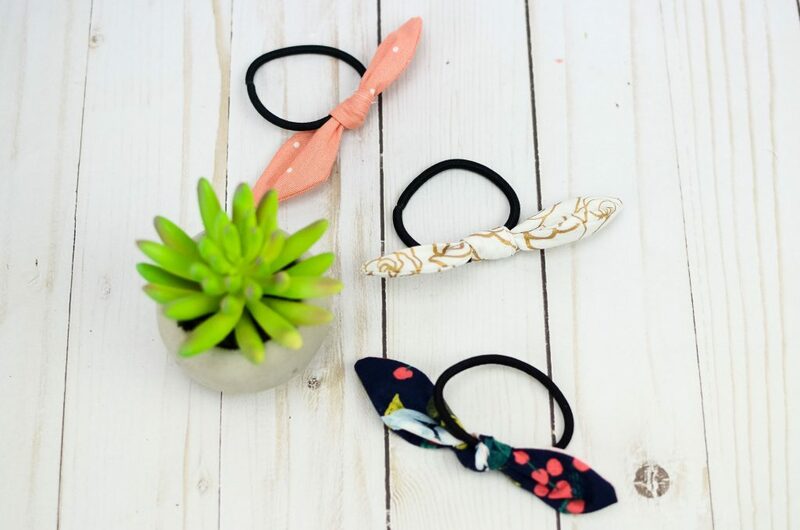 You’re going to love today’s project because we are making DIY Fabric Bow Hair Ties. 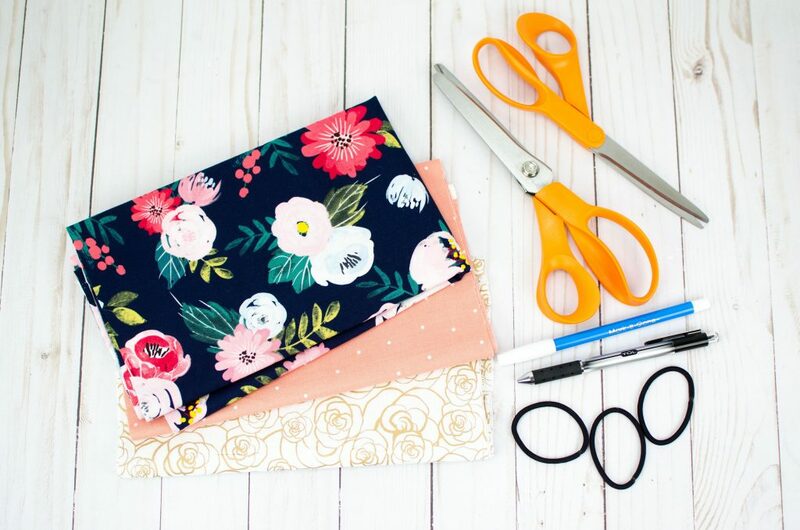 This is a great sewing project for beginners as well as the perfect way to use up some scraps. I love making matching sets of these to give as gifts. I spent about 1 hour making these assembly-line style and made 10 I think which is a fun thing to keep me busy during a movie. 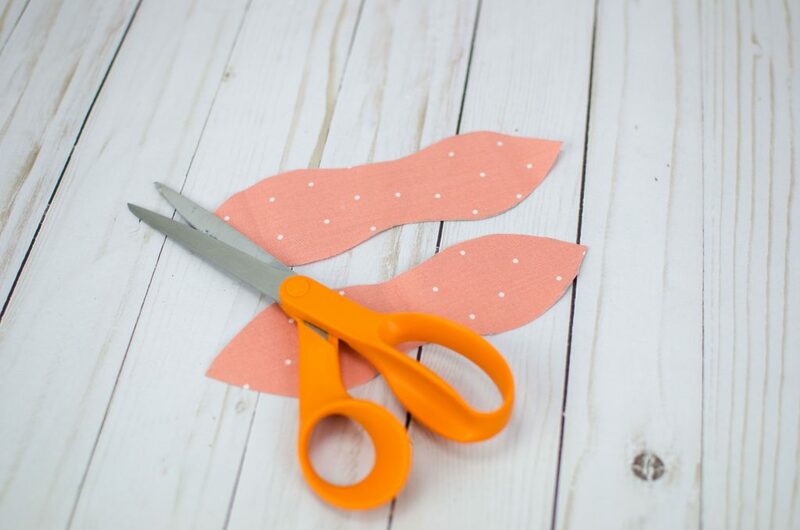 Let’s jump into the tutorial so you can start making your own DIY Fabric Bow Hair Ties. 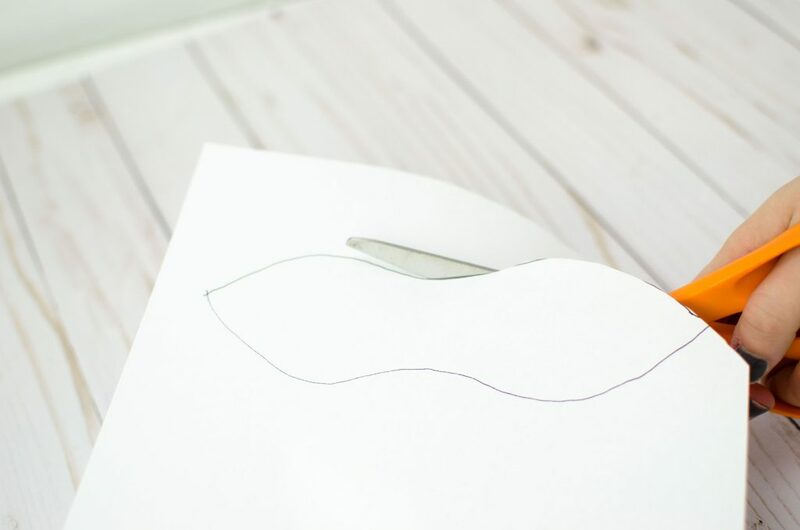 Step One: Draw out a template like this OR grab our FREE PRINTABLE! 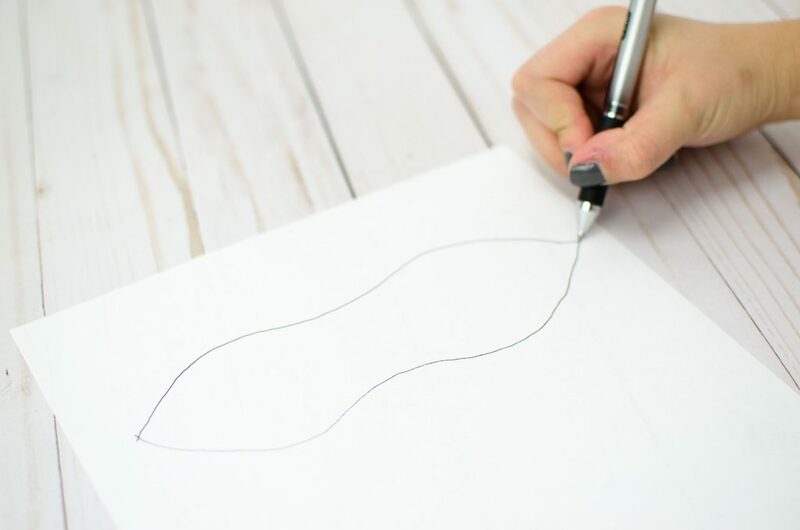 Step Three: Trace the template twice onto the back of the fabric with the water-soluble maker. 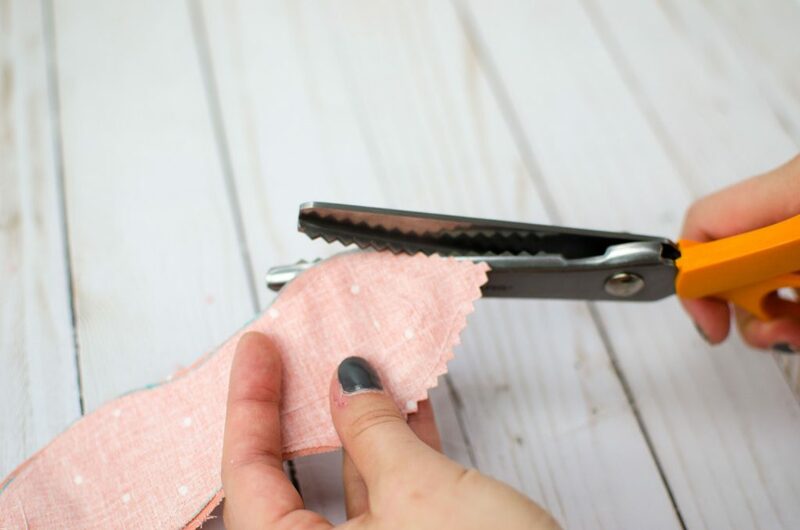 If you want to make multiple fabric hair bows, trace it more! 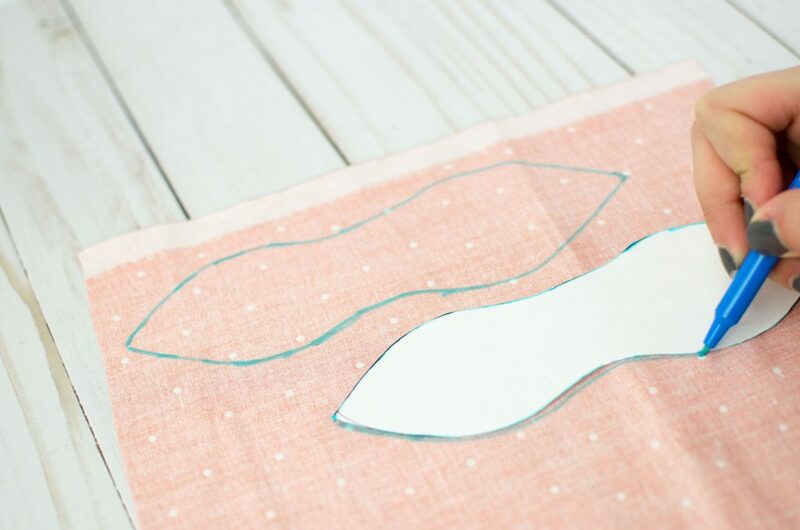 Step Four: Cut out the shape from the fabric. 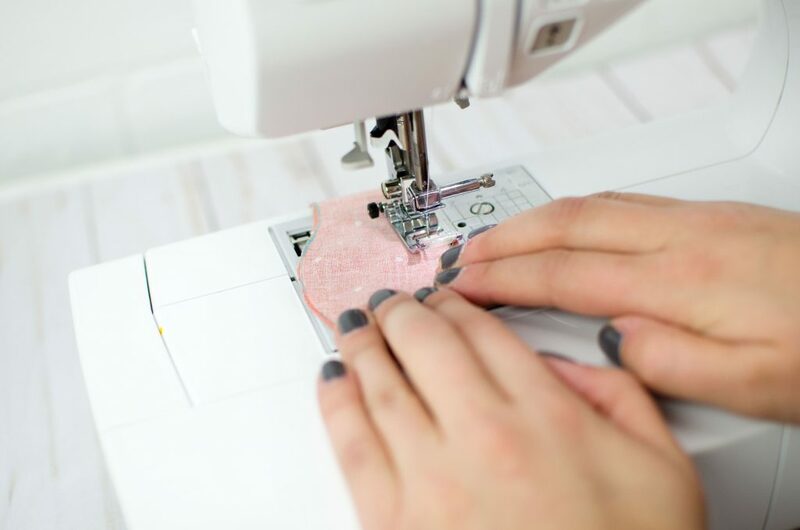 Step Five: Place the two pieces right sides together and sew around the edges with a 1/4 inch seam allowance. . Be sure to leave a small space towards the middle. Step Six: Use pinking shears to clip the curves. Be sure not to cut through any of the stitching. 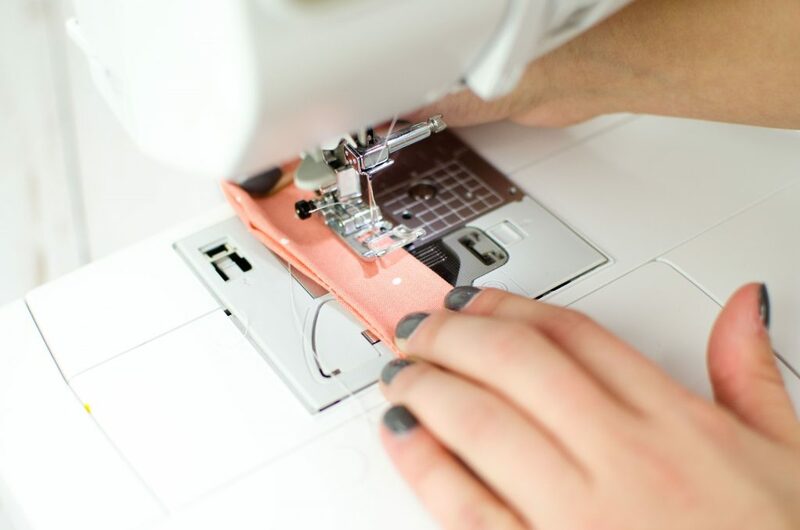 Step Seven: Flip it right side out and sew the opening closed. Step Eight: Tie the fabric around the hair tie and fluff it to your liking. I really like to play with it so that it looks how I want it. 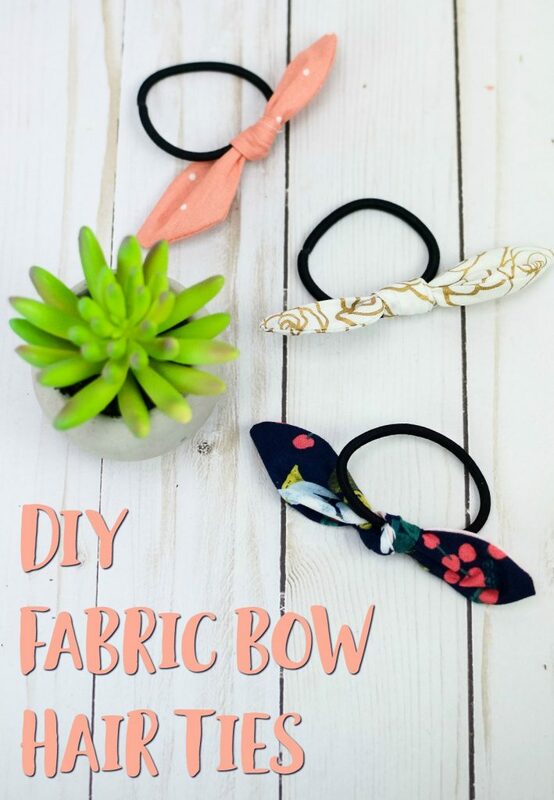 It really is that easy to make adorable fabric bow hair ties! 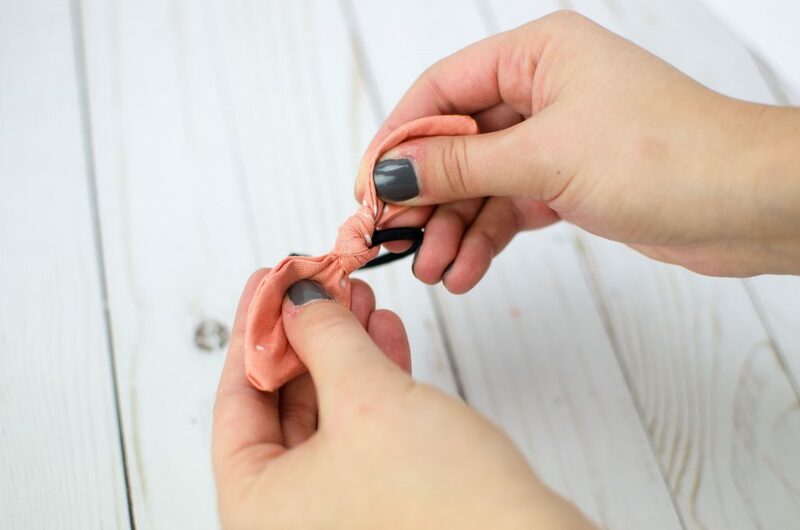 So let’s bust out those scraps and turn them into a bunch of fun hair ties that we will actually use and wear. 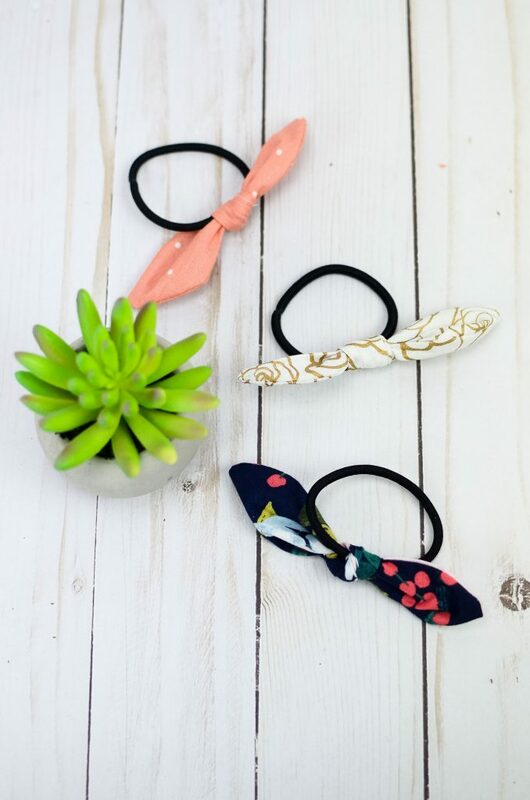 Adding one of these hair ties to your boring hair tie will take it up a notch and add some pizazz which I basically always need in my boring outfits.